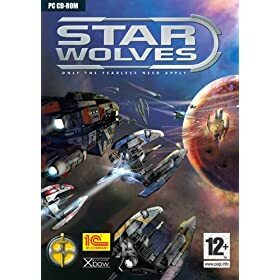 Star Wolves, a 3-D space RPG developed by Russian developer X-Bow Software, thrusts you into the 22nd century where danger lurks behind every asteroid and rogue comet. The Star Wolves are a renegade breed of freelance bounty hunters who join forces to survive and prosper in a time when space has never been more dangerous. The 22nd century is a time of war and political upheaval throughout a galaxy where three gigantic corporations control the entire solar system. Corruption is rife and the only place a man can feel slightly safer is in the skies where the crippling fists of the corporations' oppression can be challenged.